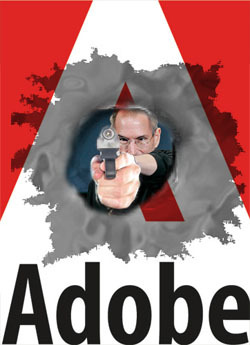 Remember Steve Jobs’ ‘thoughts on Flash’ back in April of 2010? It turned the tech world upside down from that day on, and further supplanted the fact that iOS devices did not support Flash and Apple was not willing to put their faith into a third party company like Adobe. Critics leveraged the lack of Flash as a flaw of the iPhone and iPad, but now it appears the tides have turned. Devices that don’t have the Flash Player provided by the manufacturer typically are uncertified, meaning the manufacturer has not completed the certification testing requirements. In many cases users of uncertified devices have been able to download the Flash Player from the Google Play Store, and in most cases it worked. However, with Android 4.1 this is no longer going to be the case, as we have not continued developing and testing Flash Player for this new version of Android and its available browser options. There will be no certified implementations of Flash Player for Android 4.1. Beginning August 15th we will use the configuration settings in the Google Play Store to limit continued access to Flash Player updates to only those devices that have Flash Player already installed. Devices that do not have Flash Player already installed are increasingly likely to be incompatible with Flash Player and will no longer be able to install it from the Google Play Store after August 15th.